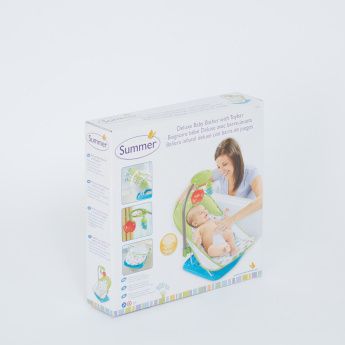 Bathe your baby while keeping him/her entertained in this bather with toy bar. 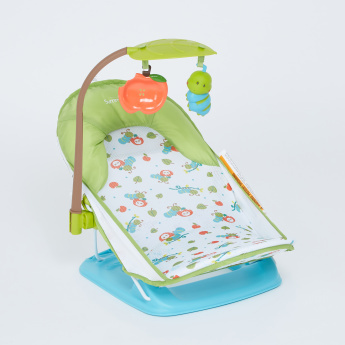 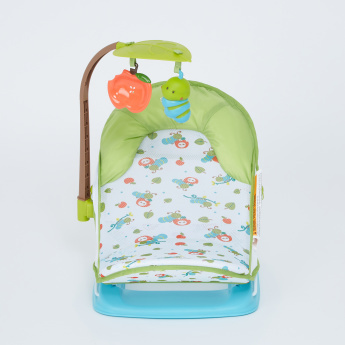 Sporting two removable toys on the toy bar, this bather has a soft fabric sling contours that will keep your baby comfortable. 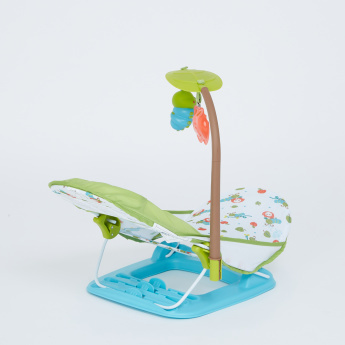 It also features three position adjustments and a sturdy head support for newborns.